Drug addiction is a term that refers to the intense craving for a substance and the loss of control over its use, despite the negative consequences that typically follow. Addiction also results in short-term and long-term changes to the brain, depending on the type of substance one is abusing and the time length of his or her addiction. Virtually all addicting drugs work by subverting the way the brain registers pleasure. This quickly begins to alter brain chemistry, causing normal, healthy drives such as motivation and learning to become corrupted. Addiction also disrupts the communication patterns of the brain and eventually changes its normal structures and how they function. People think of pleasure as a feeling that comes from a variety of different sources, such as being in love, monetary rewards, a satisfying meal, or any enjoyable activity. However, the human brain registers all pleasures in exactly the same way, regardless of whether they originate with an exciting event, delicious food, a raise in pay, falling in love or a psychoactive drug. The brain has one function with regard to pleasure, and this distinct function takes place in a cluster of cells located under the cerebral cortex. It is from this area of the brain that dopamine is released, the latter of which is the primary substance linked to pleasure in virtually all scientific studies. Regardless of one’s specific drug of choice, the person experiences a particularly intense surge of dopamine when the substance is used. The likelihood of addiction is directly related to the amount of dopamine the drug releases and the speed at which the dopamine is released. This is why certain drugs, such as crack cocaine and heroin, are some of the most addicting substances in existence. They cause the brain to release significant amounts of dopamine in a very short time. The administration method of the drug also affects how much dopamine is released, which is why smoking or injecting a drug intravenously produces a faster, stronger euphoria than swallowing it in the form of a pill. However, many addictions begin with the abuse of prescription narcotics and then escalate to the use of illegal drugs. Simply put, any addictive substance provides a shortcut to the brain’s reward system, by causing a rapid release of dopamine. Immediately following the use of addicting substances, another part of the brain referred to as the hippocampus begins to file away memories of this rapid and intense sense of pleasure. Eventually, the individual begins to associate pleasure with the addictive substance and little else. What many new addicts do not understand is that their brains will continuously adapt to the substance being used, eventually making it less pleasurable. Most rewards come after a suitable amount of time and effort, and this is a fact the human brain understands quite well. Addictive drugs on the other hand, offer a shortcut by over stimulating the brain’s neurotransmitters with dopamine. The human brain does not have any easy way to counteract this onslaught and typically responds by producing less dopamine or creating more neuroreceptors, the latter of which may or may not eventually die off. Research is still underway to determine their eventual fate. Either way, dopamine has less impact on the reward center of the brain, which is why a person must ultimately take higher and higher doses of the same drug to achieve a similar effect. This is often what leads to accidental overdose, as the person is not truly attempting suicide, but simply trying to re-create the initial pleasurable sensations he or she felt when the drug was first used. Unfortunately, the overdose threshold inevitably emerges and there is no way to re-create the experience of the first high without risking death. Once the compulsion to continuously use the drug has taken over, the brain’s normal motivation machinery no longer functions. 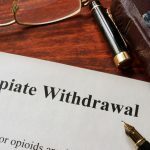 This is perhaps the saddest side effect associated with addiction, as it causes formerly pleasurable activities and experiences to have little or no positive impact on the person. At one time, the medical community believed that the intense feeling of pleasure associated with certain substances was the only thing that prompted addicts to return to their drug of choice. However, recent studies indicate that pleasure mechanisms in the brain are a bit more complicated. Dopamine is not only linked to pleasurable sensations, but also plays a role in memory and learning. According to many current studies, dopamine interacts with glutamate–a different neurotransmitter–in the areas of reward-related learning. Therefore, someone in the throes of addiction is actually training his or her brain that the best way to experience pleasure is to avoid difficult things that require time and effort in lieu of using a substance. This could be a glass of wine for the alcoholic, a hypodermic needle for a heroin addict or even the sight of a prescription bottle for someone who abused narcotic painkillers. It is this conditioned learning that is believed to be the culprit associated with relapse, even after the recovering addict has maintained sober living for many years. Because of how drug addiction affects the brain, it is important for those struggling with substance abuse to enroll in a comprehensive therapy program where all associated issues can be addressed, rather than just a detox center that deals only with the acute problem. Recovery is possible if a person is willing to work hard and commit to a lifetime of sobriety. However, refusing to procrastinate is imperative, as the longer one avoids treatment, the more severe his or her problem becomes. Anyone wrestling with addiction or dependency should immediately seek help at a qualified clinic.